I got an invite to a grand opening of a MyEyeDr. in Vienna, VA - a local optometrist and whatnot chain similar to Lenscrafters. Usually I would raise my eyebrow and then move on, but I actually go to MyEyeDr. 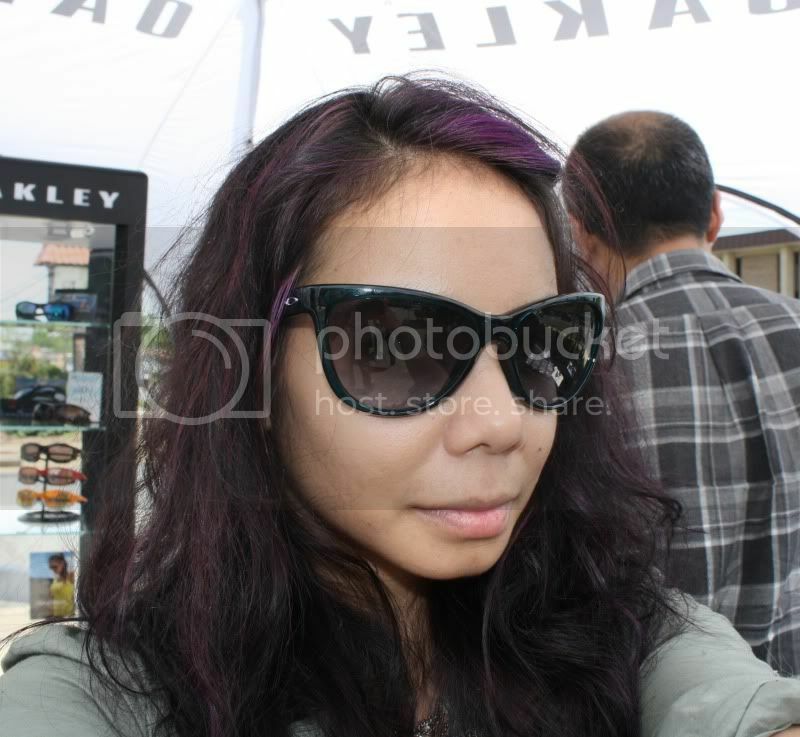 and I had just gotten my fabulous Oliver Peoples glasses there in March! So I had some warm fuzzy feelings and decided I shouldn't be too snotty to go! I was super glad I went out to check out the event. Not only am I huge believer of supporting local fashion (in an form), but I also think it's super important to love being a four eyes! When I was growing up I lacked a certain ability to pick out flattering glasses. I seemed intent on trying to find the least noticeable pair ever, as if they could blend into my face and become invisible. But without a well-defined pair of glasses, your face kinda looks wonky! 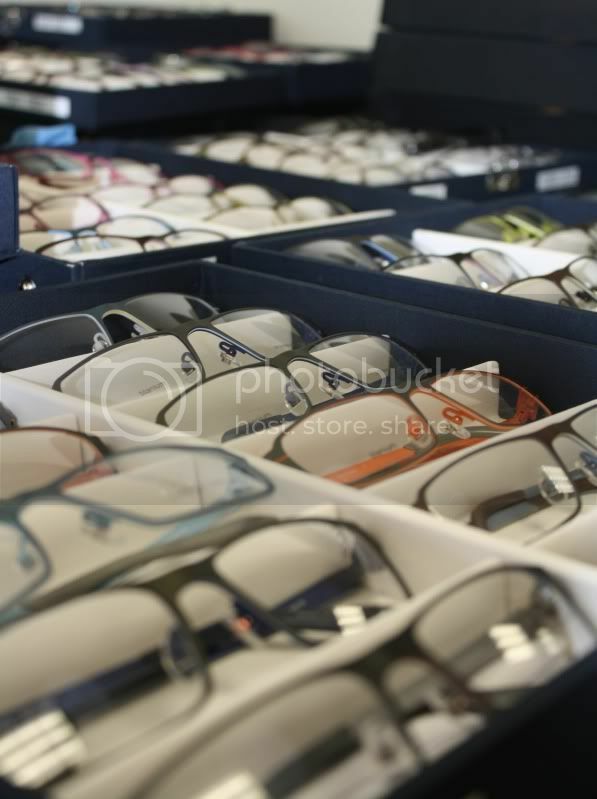 Shoes that blend into your legs look great; glasses that blend into your face looks like a big mess! So embrace glasses!! Find a bold pair that makes a statement and shows off your personality! 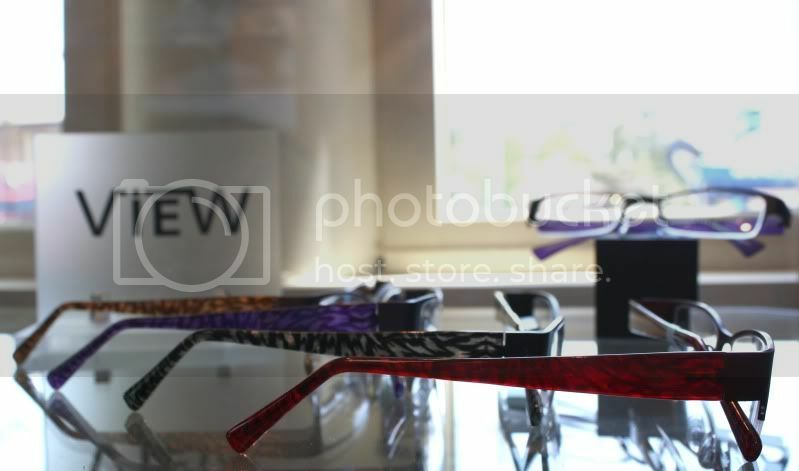 I tried on a bunch of great pairs - MyEyeDr. was featuring ProDesign | Denmark, which I wore in the above and below shots. Don't they both look so fab? I think the oversized cat eyes are the best! 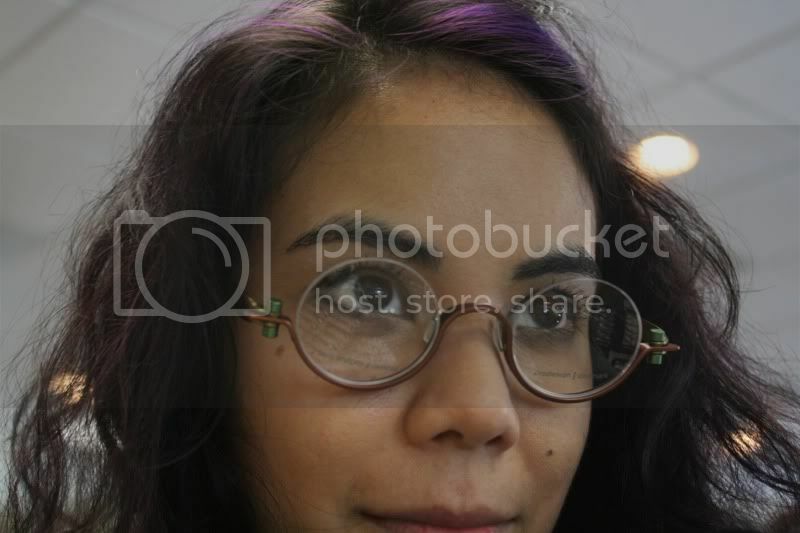 When picking frames, I recommend looking at shapes that are the opposite of your face shape. 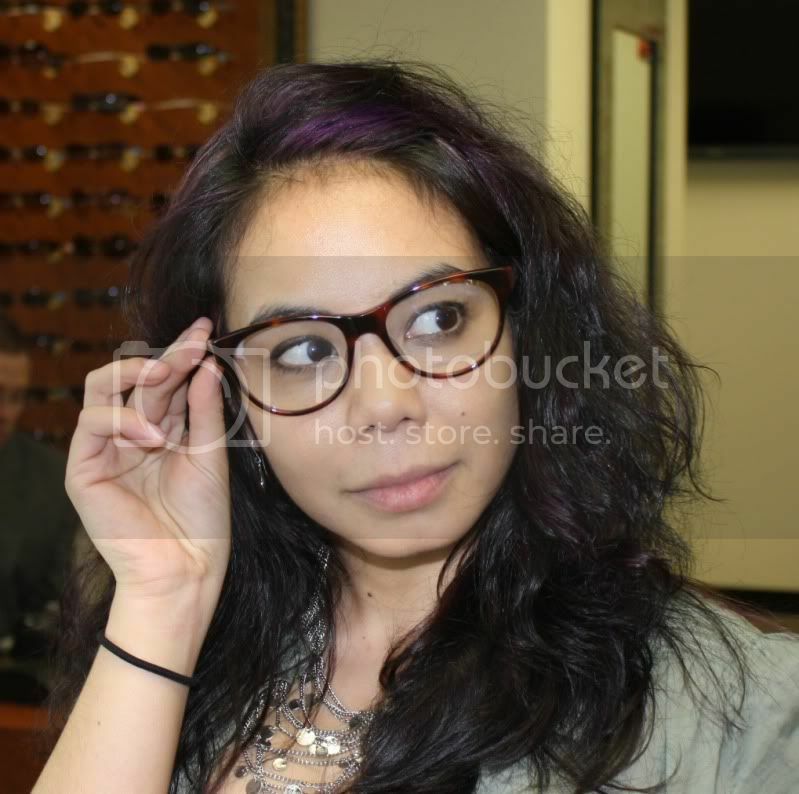 If your face is round, rock some rectangular frames and vice versa! And, well, oval faces look good in most shapes, so have your pick! I also learned about View, an in-house brand that has some amazing temple treatments in a bunch of colors!